The two specialist British nuclear cargo vessels, Pacific Heron and Pacific Egret, which are transporting Mox fuel from France to Japan, departed the port of Cherbourg on 17th April, 2013. 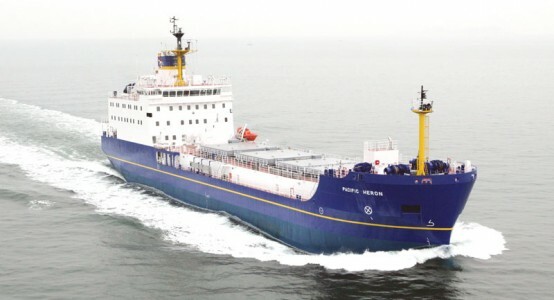 The vessels, which are owned by Pacific Nuclear Transport Ltd, will travel to Japan via the Cape of Good Hope and the south-western Pacific Ocean. They will arrive in Japanese waters in the second half of June 2013. The voyage is being undertaken with all necessary safety and security permissions from national and international regulators and the purpose-built ships are sailed by some of the most experienced nuclear mariners in the world. Further announcements will be made when the voyage is complete.